Take a look at some of the suggestions below to avoid food waste in the home and the office. The home is perhaps the best place to make use of wasted food. There are a range of solutions to this problem, depending on how much food you find yourself left with and the home you live in. These days, local authorities and councils are doing their utmost to provide adequate recycling facilities for their residents. However, the priority is often placed with providing the means of recycling materials like paper, glass and plastic. Even homes with garden waste bins are told not to use this facility for recycling household food waste. If you’re local council fails to provide you with a food waste bin, the best option is to collect it yourself and use this to make your own compost. You can buy your own compost bin online from suppliers such as Get Composting; they even produce their bins using plastic made from recycled bottles. There are limitations as to what you can put in a compost bin. You should avoid putting leftover cooked food, any kind of meat or dairy products in the bin, as this will attract lots of unwanted guests; namely, rats! 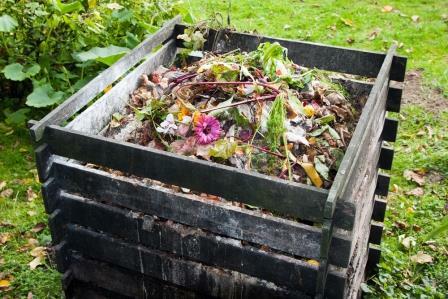 However, a compost bin is suitable for fruit, vegetables, tea bags, coffee, egg shells and paper towels. It’s an idea to think about putting leftover food to good use, by adapting recipes to include different ingredients. Obviously, this only applies when the food is still safe to eat – anything with mould should be good straight in the bin, compost or regular. Take a look at these recipes from the BBC to make the most of leftovers. Who knows, you might become such a dab hand at making meals using leftovers that you don’t have much use for that compost bin. You can minimise the amount of food that you waste, simply by reducing the amount you buy in the first place. It’s often difficult to keep track of what you’ve bought, without the hassle of writing everything down. However, if you choose to do your grocery shopping online, when you come to place your order, you can take a look at your list from the previous week and remove items that went unused. If you’re a business owner, or you want to approach your boss with the issue of food waste in the office, there are solutions that could overcome this problem. There’s unlikely to be a suitable place for a compost bin in an office environment. For this reason, the best idea is to arrange a collection service for food waste. Companies such as DS Smith Recycling offer this service, along with other options like confidential paper shredding and paper recycling; so it’s the perfect choice for the office environment.